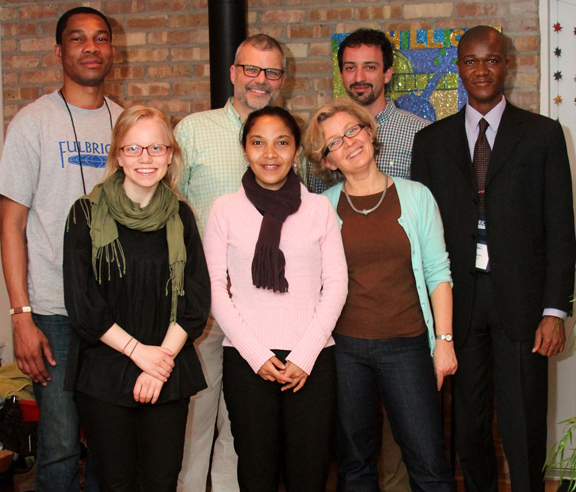 (Front from left) Elisa Uusimaeki, Mirana Razafindramboa, Agnes Brugger (Stephen's wife); (Rear from left) Achille Mutombo, Stephen Hill, Hosni Zobai and Arnaud Dakpogan got to know each other during the dinner hospitality program. EVERY YEAR, AS PART OF the Fulbright Enrichment program organized by IIE (Institute of International Education,) the Fulbright alumni are asked to open their homes for a hospitality dinner. This casual event allows Fulbrighters studying around the United States to get to know one another as well as our marvelous city. 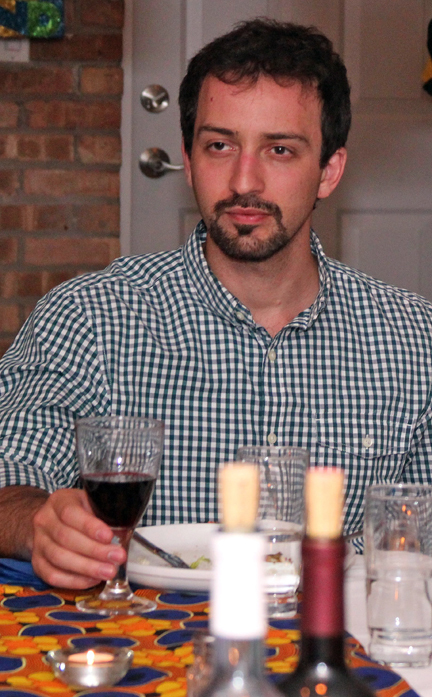 Hosni Zobai, from Israel, ready for a sip of red wine. 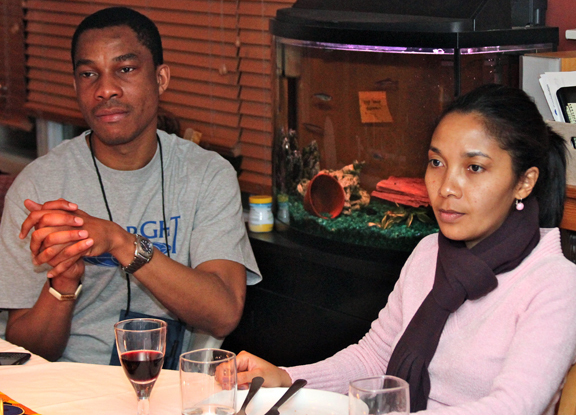 Achille Mutombo from the Democratic Republic of the Congo and Mirana Razafindramboa from Madagascar sharing dinner while getting to know other international Fulbright students and their American hosts. 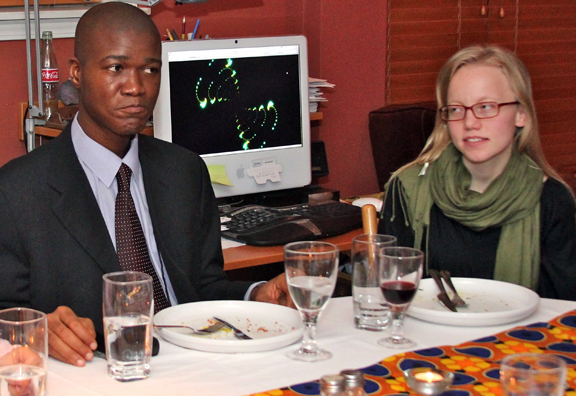 Arnaud Dakpogan from Benin and Elisa Uusimaeki from Finland about to enjoy the American apple pie.